Keep the air in your house healthy and clean. We keep your attic and crawl spaces clean. Go Green with Dr. Green Thumb! 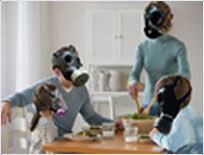 Did you know the air in your home could be contaminated with harmful bacteria and you could be breathing in unhealthy air each day? Dr. Green Thumb, your indoor air quality specialist, can ensure the air in your home is of the cleanest, greenest quality! At Dr. Green Thumb, we make it our mission to be eco-friendly, using only organic and natural cleaning products to keep your home safe from dangerous chemicals, toxins, and pollutants. We are dedicated to making your home healthier, cleaner, and greener–all while improving the environment! If you are looking for an environmentally-friendly way to maintain indoor air quality in your home, Gr. Green Thumb can help. Serving Long Island for over a decade, we are family owned and operated. We are completely dedicated to improving the air quality, air flow, and overall living environment of your home because we care about the health of the people you love. We offer the best price in Long Island for organic air duct cleaning. Click on a service below to find out more about how you can go green with Dr. Green Thumb! For more information on how you can Go Green with Dr. Green Thumb, or to schedule an appointment, call us today at (631) 294-2823. I recently switched from oil to gas and decided to upgrade my cooling system as well. Last year I noticed condensation coming from the main vent but didn’t think it was anything major since the cooling system worked great -so ignored it. My plumber brought to my attention the issue I noticed and ignored from last year only this time it was not just water. You could visibly see a ton of mold growing on the outside of the vent. It was completely inundated with water and mold- it was disgusting. I thought I was going to need new ducts. Dr. Green Thumb came and took care of everything at a very reasonable price and I did not need new ducts. I highly recommend them for any air duct cleaning service you need. I really wish I could share before and after pictures of my ducts. True professionals- I give them two thumbs up! Justin and Jay were so thorough, I am so glad that I had them come to clean all of the ducts in my new home since they found mold growing in them. They were very informative and did what was needed to make sure that the job was done right. I plan on being a repeat customer for sure! Had Justin and his crew in to remove and treat basement for mold and air duct cleaning. So impressed with the job as well as the professionalism and fair pricing of this company. Justin takes pride in his work and spent extra time with us to make sure we were happy and job was perfect. Walked into my house and the air quality was like a new home. So happy with the results. I had Justin come to my house today to replace my dryer vent. I had called a few places prior & he was the only one who could come today.He was @ my house within 2 hours of my phone call because he had to finish another client 1st. He charged fairly & I would highly recommend his services. I’m very happy with the results. Justin and his helper were very professional and hard working. They came in went right to work and didn’t stop until job was perfect. I really think my air quality is better. Thank you for getting rid of my mold problems and I look forward to using this company every year. Justin and his crew did an amazing job. I can noticeably tell my air is much cleaner and removed odors from the previous home owners. I’ve used others before, and hands down this company did the best job. Very professional, honest, and great prices. Additionally, Justin was able to provide me tips, filter, and treatment options to reduce allergies going forward and maintain an allergen free home for the family. I recommend these guys (Dr. Greenthumb -NY), and especially if you want noticeable results. Go with Dr. Green Thumb! Professional, reliable and courteous service. They were a pleasure to work with and did a fantastic job. Justin was able to make recommendations and make fixes where needed w/o charging an arm and a leg. Highly recommend! Justin, the owner, and one of his workers came to my house about two weeks ago to clean out my vents and did such a great job I HAD to write a review. I wanted to wait a little just to make sure it really made a difference and I am here to say that it does! My husband and I have owned our home for around five years and as far as we know the vents had never been cleaned. Both my six year old son and I have terrible dust allergies, so having them cleaned has been wonderful for us! My allergies have noticeably been diminished. The work ethic and professionalism Dr. Greenthumb provided to my family was excellent. I love that they do not use any chemicals and the prices they charged were reasonable. Would recommend them to anyone looking to get there vents cleaned. Prompt service, fair pricing. Justin and his team did a great job and we’re not pushy like some of the other companies who do this kind of work. I couldn’t be happier with the service and I’d recommend them to anyone looking to get this sort of service. I was a first-time home buyer and needless to say, the prior owners did NOT take great care of their system (to be perfectly honest, not once did they have their ducts and/or vents properly maintained or cleaned). We’re talking years of pet hair, dander ….and god knows what else. I’m an asthmatic with allergies so having an indoor air quality system was a major priority for my comfort. One call to Dr. GreenThumb and EVERYTHING was taken care of. Justin, owner & operator, personally handled my appointment, walking me through every step of the process, from initial estimate to final walk through. I even decided to upgrade my system based off their recommendations and very reasonable pricing. I run a service business myself with my own money on the line and I know a company that’s committed to it’s customers, quality of service, and it’s reputation via integrity. I now recommend Dr. GreenThumb to all my clients and friends….as should you! I recently called this company to clean my dryer ducts. An appointment was made. They were prompt. Most service companies I’ve dealt with are never on time if they keep the appointment at all. The 2 men that came to my home were polite & respectful. They were fast and cleaned up with no sign that they were here. I give them an A+ and would highly recommend them. Thanks Justin. I called Dr. Greenthumb last week to schedule an air duct cleaning. Justin quickly returned my call and scheduled an appointment within days. He thoroughly explained the cleaning process when he arrived and was very patient and happy to answer all the questions that I had. He made recommendations without being pushy. Justin and his co-worker work very well together, they are both extremely hardworking and efficient. Upon completion of the cleaning, I turned on my AC and noticed an immediate improvement in the airflow and functioning of my unit. Wish I did this sooner! Justin is very personable and I felt comfortable having him in my home. You can tell he takes pride in his work and cares for his clients – he even called to check in after the appointment. I’m very satisfied with Justin’s work and highly recommend him! Great experience. Justin replied quickly and both he and Jay were professional, respectful, diligent and willing to go above and beyond to make sure we were satisfied. Would definitely recommend their company for vent, radiator, Hvac and other cleaning services. They also made helpful suggestions! Justin was great from start to finish. He’s extremely personable and knows his stuff. He and his worker Jay arrived on time and explained everything they’d be doing. Justin clearly explained the process and showed me what was going on throughout the cleaning of my system. They took their time, left everything spotless and were overall great to work with. Will definitely use for future cleanings and recommend to all of my family and friends. Thanks Justin!! These guys do great work. The owner, Justin, really did treat my house as if it were his own. He took extra precautions to not scratch my floors or walls. During the routine cleaning, he took multiple pictures of mold and mildew within my unit and before treating it he let me know my options and prices. Once the job was finished he did a good job cleaning up and asked me to do a once over and he would pick up anything he missed. Just want to say that Justin and his assistant Jay did a terrific job on the cleaning of our system. Extremely professional, and done in tough conditions on a sweltering August day. Much appreciated! So quick to respond, came the next day, professional and fast! Despite my saying that I will clean up the mess from the lint, they cleaned it all up! Very fair price! Highly recommend! Dr. Green thumb came to our house yesterday to clean our vents (12). Justin did an excellent job. Once Justin was done and he turned the heat on, you could tell the difference. Very reasonably priced. Justin was very friendly and he told you what he was going to do. No hidden prices. If you are looking to get your vents cleaned, we highly recommend Dr. Greenthumb. Dr Green is very nice service.The guys are good also.